New technologies will not solve Britain’s transport problems unless the public have a desire to understand and buy-in to such systems, according to Elizabeth Dainton, Research Development Manager for the RAC Foundation speaking at the ITS08 conference at the London Barbican Conference Centre today (6). 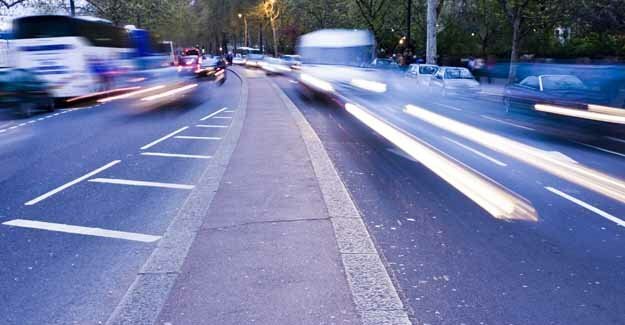 Ms Dainton will explain that policy makers are increasingly expecting Information Technology to play a major role in coping with mounting environmental, safety and congestion pressures; but without public support and understanding little will be achieved. Technology will play an increasing roll in the lives of motorists living in 2041 who will be travelling 38% further and increasing their car journeys by 24% within a population which is 11% larger and twice as rich*. Strategic roads in the UK will be under significant stress if they are held at their current capacity and although technology, such as hard shoulder running can help with this, physical road improvements will also be required. Vehicle technology improvements are the most prolific and readily available within the current transport system, but it remains difficult to get the public interested in and knowledgeable about the safety and environment benefits associated with new cars. Fuel consumption currently ranks sixth in the list of ‘important’ factors in the eyes of the car buyer** and just 10% of buyers are mindful of a vehicle’s environmental credentials at the point of purchase***. There is some indication of change: 45% of car buyers now admit to considering both carbon dioxide emissions and other motoring costs when making a purchase****. Technology in vehicles not only makes for lean green machines as new systems also have proven safety benefits. 58% of drivers believe that in-car technology makes driving safer, but 71% of drivers believe the complexity of modern vehicles means new technology would have to be explained to them to have a positive effect. 14% of drivers admit that new technology provides added distraction***** and this is particularly true of mobile phones, where 45% of drivers admit to texting behind the wheel******. Drivers are only able to absorb plus five or minus two messages at any one time******* and therefore it has never been so important to consider the impacts of technology on driving behaviour. “Modernising the transport system in the UK is crucial, and technology can play a major part in this process. Technological advances will improve safety, reduce environmental damage and relieve congestion – but it will not be a magic bullet for solving all of the country’s transport problems. The willingness of the public to accept new technology, and the support of politicians to carry forward initiatives are essential if we are to maintain an efficient fleet both now and in the future”. ******** RAC Foundation and BCC (2007) Business Travel Choice or Necessity?